No matter what car you drive, our paint and body shop will have your vehicle looking as good as new in no time. 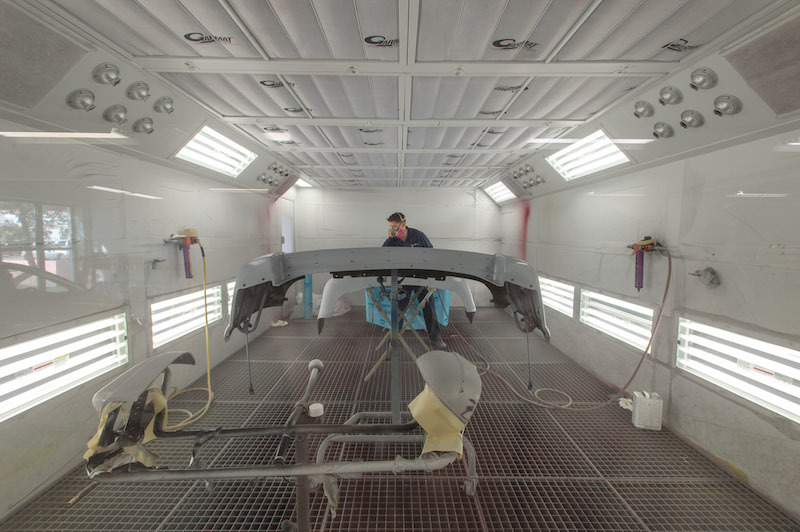 We have the biggest facilities on the Island including state-of-the-art paint booths and environmentally friendly water-based paints to ensure the perfect finish. And no one beats our qualified paint and body technicians for quick, top quality work. We can handle all models of vehicle available in Bermuda including: BMW, Chevrolet, Chrysler, Daihatsu, Dodge, Fiat, Ford, Honda, Hyundai, Kia, Jeep, Mazda, Mercedes, Mini, Mitsubishi, Nissan, Peugeot, Renault, Suzuki, Toyota and Volkswagen. Call us today at 292-0893 or come by for a free estimate. We're open Monday - Friday 8:00 a.m. to 5:00 p.m.